Specific Gravity Tester - Densimeter - Qualitest offers extensive range of advanced Density testing equipment such as different types of Densimeters for measuring solid and liquid specific gravity. Densimeter EW-300SG which is used for measuring specific gravity of rubber, plastics, metals, and much more. 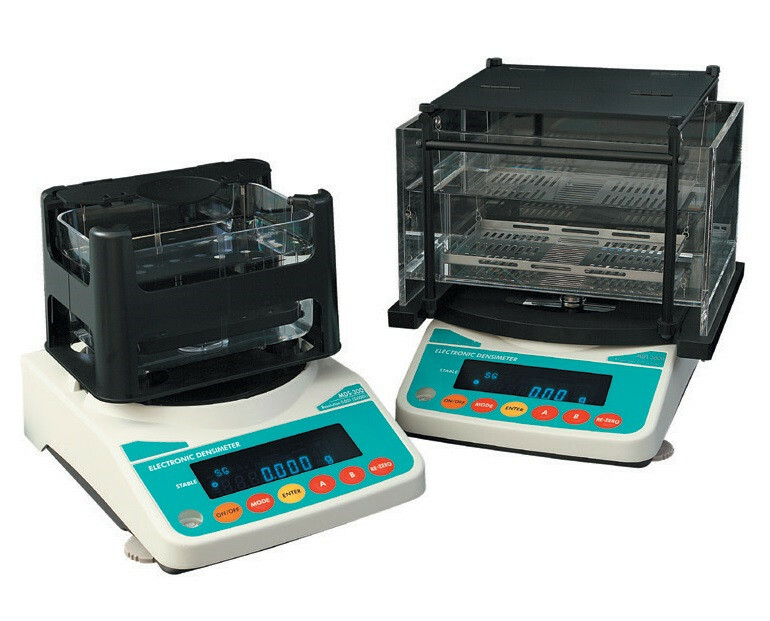 Densimeter - SD-200L is top of the line Densimeter with 0.0001 Density, for measuring solid and liquid specific gravity.